One hundred elite digital mom influencers will converge in paradise at Beaches Turks & Caicos Resort Villages and Spa for the Fourth Annual Beaches Resorts “Social Media on the Sand” conference. This sold out, invitation only event will be led by some of industry’s most successful, motivated women, eager to share their stories on how to effectively navigate the use of social media to connect through the clutter. This five-day event will empower attendees by sharpening their social media savvy at an array of inspiring and immersive sessions amidst the best backdrop of all, a Luxury Included® vacation along 12 miles of one of the world’s best beaches, Grace Bay. Beaches Resorts handpicked an impressive list of guest speakers with valuable insights on how influencers can continue to build their social media presence in an increasingly crowded space. Keynotes include Rebecca Minkoff (founder of the eponymous fashion powerhouse), Alli Webb (founder of Drybar, the nation’s premier blowout salon) and Holly Robinson Peete (award-winning author, actress, entrepreneur, philanthropist and brand spokesperson). In addition to receiving great perks, attendees will have the chance to give back, as giving back is at the heart of Beaches Resorts. During their stay, influencers will participate in an extraordinary “school makeover” project at the Ianthe Pratt Primary School – home to 600 children ages five to eleven. 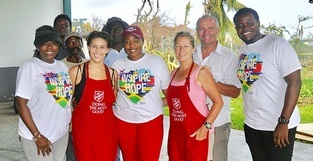 Sponsored by the Sandals Foundation and School Specialty, this activity will provide the opportunity to paint the school’s existing playground and outdoor stage, along with a collection of inspirational murals. Prior to travel, attendees will also receive special backpacks encouraging them to join Beaches Resorts’ Pack for a Good Cause campaign. They will each fill their backpacks with five pounds of desperately needed school supplies and distribute them personally to the school children on-site. Participation in this activity is always 100%, which equates to 500 pounds of new educational supplies on the island. In addition to the conference, outdoor-oriented activities – from Cabana Chats, informative sessions where attendees will dive deep on industry-specific topics, to Interactive Experiences, where they will participate in fun resort activities – will round out the programming. From oceanside yoga, TruFusion exclusive workouts that keep power couples like A-Rod and J. Lo in shape, and curated parties including Hollywood Records’ artists In Real Life (IRL), the winners of ABC’s hit show, Boy Band, who recently wrapped their first North American headline tour – guests will enjoy all that the resort has to offer and more. Graced by 12 miles of the world’s best beach on Grace Bay, Beaches Turks & Caicos offers the ultimate Luxury Included® Vacation with endless land and water sports, 5-Star Global Gourmet™ dining at up to 21 restaurants, luxurious rooms and suites, and exciting family-friendly activities including Sesame Street® stage shows and the Caribbean's most thrilling waterpark. Event partners include Drybar, Yummie, TruFusion, SpinMaster, JetBlue, Rebecca Minkoff, Hollywood Records, Cable and Wireless Business, The Crafted Coconut, Swarovski, School Specialty, SNUBA, Twiddle, NuFACE, Gaiam, Red Lane Spa, FITKICKS, Dreampad, Desert Sunglass of Scottsdale, Sprout Foods, Sun Bum, Pevonia, Air Esscentials, Build-A-Bear Workshop, The House of Perna, Sesame Workshop, Buddha Shack, Instax, essie, Tuuci, Bling2o, KooKooLoos, HeroBoys, Hapari, 8 Greens, Coconut Float, The Bouqs Co., U.R. 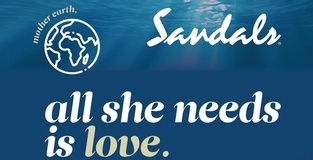 Bath and Body, Lands' End, the Red Lane Spa, Island Routes, the International Board of Credentialing and Continuing Education Standards (IBCCES), and the Sandals Foundation. 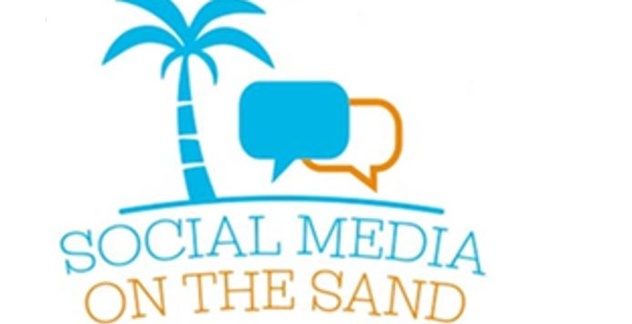 For more information on “Social Media on the Sand,” please visit socialmediaonthesand.com.